Obviously one of my favorite from August was my Nintendo Switch. It was a late birthday gift to myself and I love it! I can't wait for more games and features to be released! 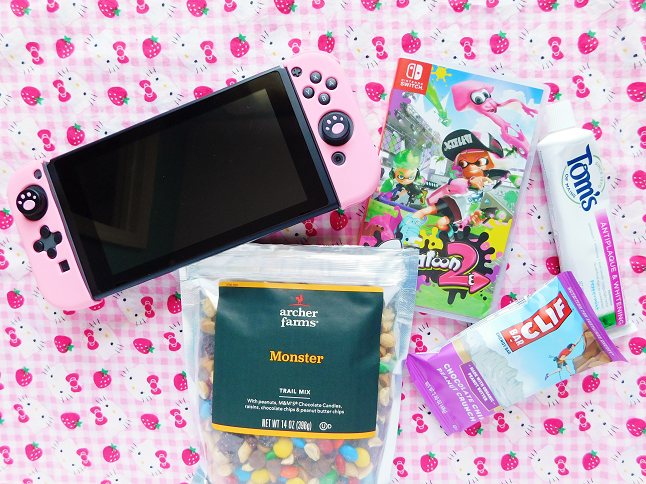 Since I have the Switch with the gray joy-cons I decided to get some accessories to make my console cute since I don't like the gray color. 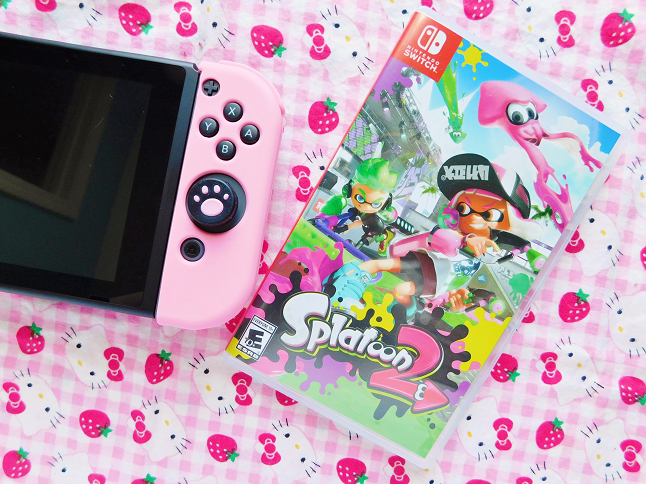 I bought these cute pink kitty paw for the thumbsticks I actually have the same ones on my PS4 controller and Wii U and since I love them so much I decided to buy them for my Nintendo Switch too. I also bought some pink silicon covers for the joy-cons to hide the gray parts. It's difficult to play with the silicon cases on so I take them off when I'm playing and put them on when I'm not playing. 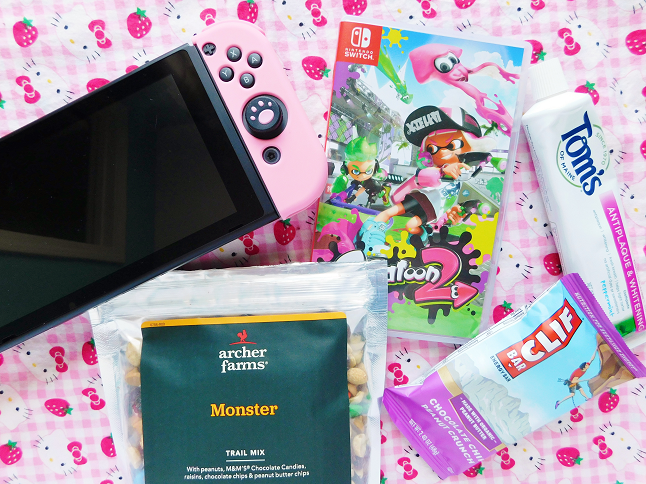 Splatoon was one of my favorite games for the Wii U so of course, I had to get Splatoon 2! It's kind of difficult to explain so I will further explain in the review but just know it's such a cute game! Just google Splatoon and you will see the cutest fan art! I finished the game a couple weeks so I will be posting a review really soon. Lately, I've been into Clif Bars my favorite flavor at the moment is the chocolate chip peanut crunch. I mean you can't go wrong with peanut butter and chocolate chips! 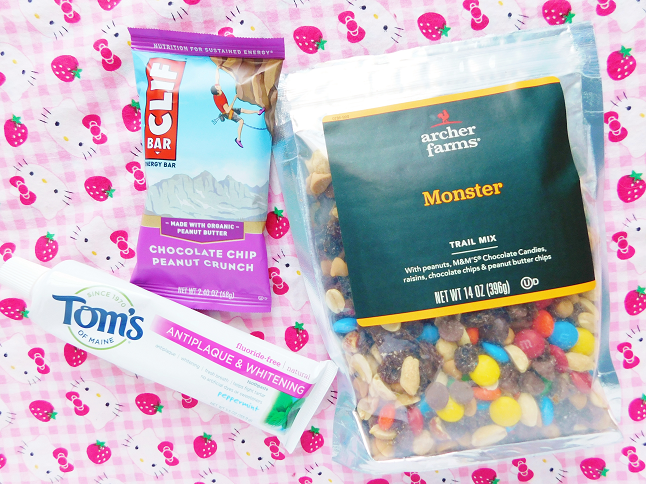 I had a sudden craving for trail mix so I picked up this bag of Target. They have a couple different combinations but this one I really love this one. I also tried the Cashew Caramel but if any of you have any other recommendations let me know. Since going cruelty-free I've been slowing transition by adding cruelty-free products to my everyday products that I never thought of such as toothpaste. I bought this Tom's toothpaste back when we were in Orlando and now I am on my second tube! I love how this doesn't contain any fluoride-free because I've always hated that burning feeling after brushing your teeth.